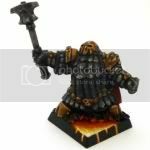 Am I missing something, or have you missed the Kris Aubin's Chaos Dwarfs (full army, I guess) in your compilation thread? Mostly helms, a few CD with masks (hat on a champion/hero). This post was last modified: 08-24-2007 04:44 AM by duktu. Must have overlooked it as I had made a gallery for him on the site. Serial Writist - lots and lots of short fiction, written by me, regularly updated. Thanks man! Now I have my first slave! Slightly off-topic - a few days ago I was looking for some nice conversion of the bolt thrower and I of course started from the Compiled Conversions topic. It seems that it's even more outdated than the gallery. Maybe you should do similar contest for the conversions page? Either way, I might look for some conversions tomorrow. We aren't going to hunt for that link, no matter how easy it is. You have to follow the directions we layed out if you want a slave. This post was last modified: 11-27-2007 10:22 PM by Theory_Man. 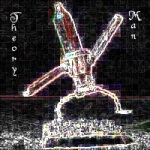 Foicevermelha, Theory_Man and Ishkur Cinderhat updates added in. This post was last modified: 11-29-2007 06:39 PM by pulper. Nice stuff pulper, you should post a thread in this section with all the pictures displayed in it, then take the link of that thread and put it here. bassman spoke... and I do agree! !